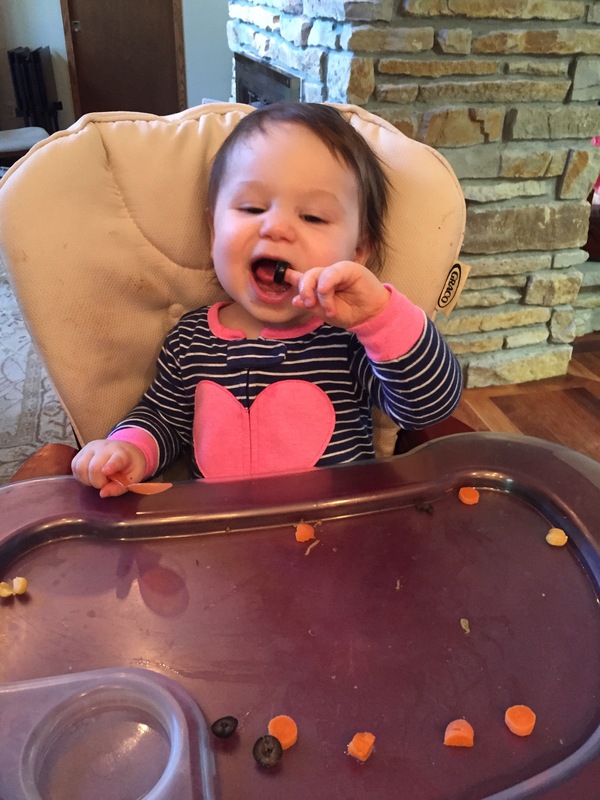 The other day when I was counting Charlotte’s baby teeth, I said she had 7 teeth with one on the verge… HOWEVER, just yesterday (or maybe the day before), she was doing something weird with her tiny mouth hanging open and I discovered TWO MOLARS!!! That brings the count to 9 teeth with at least one, if not three, on the way. 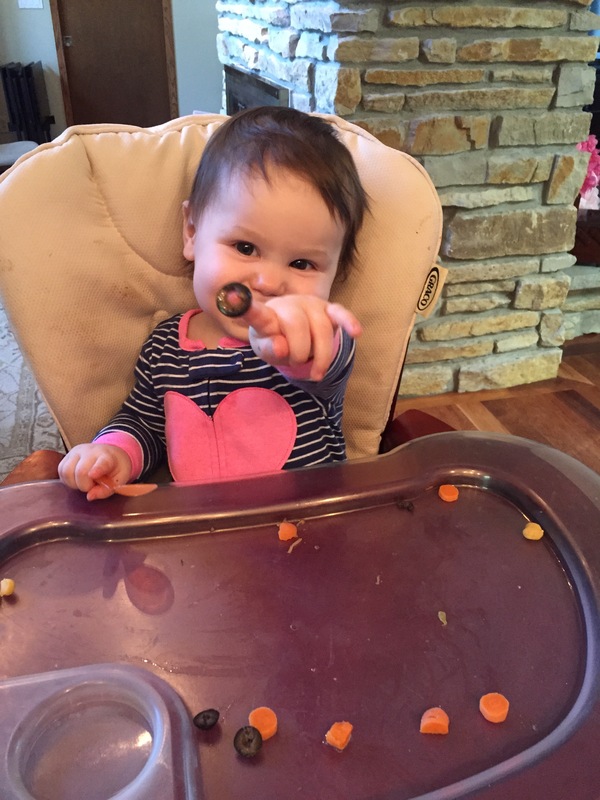 Check out her eating olives like a big kid… I didn’t even show her this… Just looked over and caught her in the act! 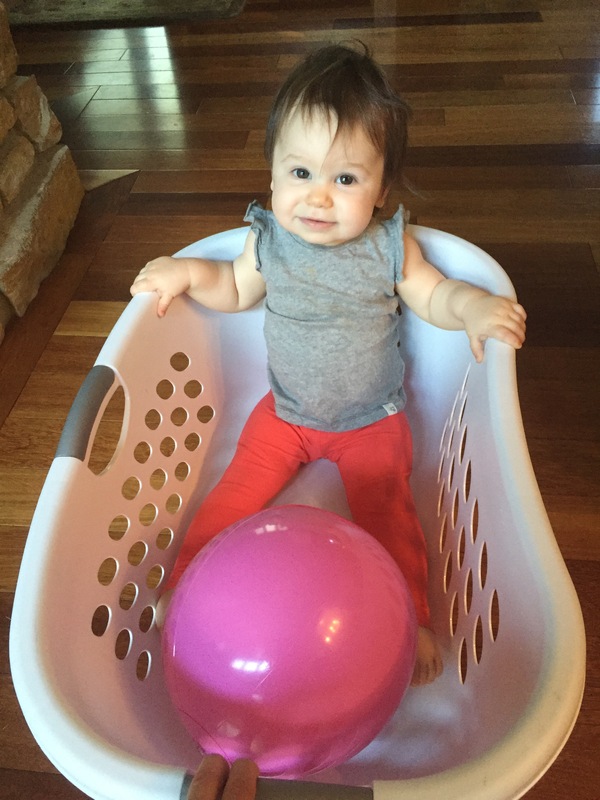 This entry was posted in Family, New Baby and tagged baby food, baby sign language, one year molars, one year old, teething. Bookmark the permalink.